Best used in conjunction with the other short videos at http://planetnutshell.com/skill/climate-science/. Use as a prompt to tie into research/design project, probably towards end of a unit on climate change. Discusses how the leaders of US and China have a special responsibility to address CO2 emissions because those countries are the largest source of these emissions. Comment from expert scientist: Puts the focus on carbon emissions reductions. Identifies USA and China as top carbon emitters. 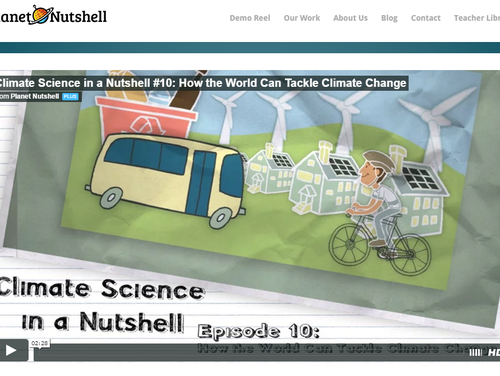 This is Episode 10 of an 11-part series on climate and climate change. A very engaging cartoon format. Allow enough time for video to buffer before viewing.